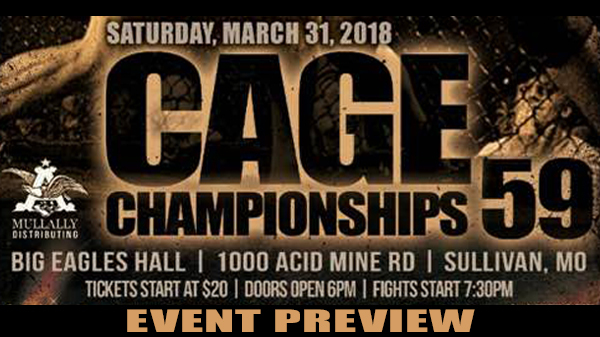 Missouri's longest-running amateur MMA promotion is back in Sullivan this Saturday with Cage Champs 59, featuring 16 amateur MMA and kickboxing bouts. At October's Cage Champs 58, Kris Gonzales and Orlando Sanders had one of the area's best amateur fights. Gonzales came out guns blazing, putting early pressure on Sanders who was able to weather the storm and rally in the third round to take home victory. Both are back on Saturday with Gonzales set to face Iowa's Joseph Estrada in the main event, with Sanders taking on Nathan Stearns in the co-main. Gonzales, training at the Smith Pit, has loads of potential and has a real test with Estrada, a tough vet of over a dozen fights. Gonzales should be the more athletic of the two, and works a fast pace tempo, it will be interesting to see if Estrada can hang in there with the early pressure from Gonzales. Fighting out of BJJ LIfestyle Academy in Belleville, IL, Sanders has proven he can stay calm under pressure and has plenty of tricks up his sleeve, which he will need against Stearns. We knew Sanders could grapple, but the fight with Gonzales showed he is just as comfortable when the fight is standing. 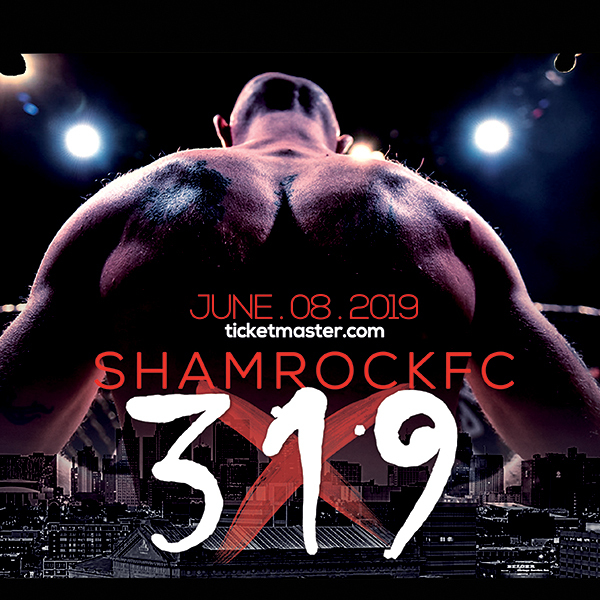 Stearns had a tremendous year in 2016, winning four fights in the calendar year, that led to a high profile match-up with Elmar Umarov at SFC 286 in March of 2017. Despite Umarov getting the victory, Stearns has shown he can hang with the best when in shape and focused on training. Stearns, now 7-3 overall, only has losses to Evan Elder, Dustin Tucker, and Umarov. In a fight that will surely have the Big Eagles Hall buzzing, "The Wildman" Tra'von Butler will take on Denver Sells, a legend inside the Cage Champs cage. Sells at one time was poised to be the heir apparent to UFC light heavyweight Jake Collier, but inactivity and some short notice fights have killed off most of his momentum. Sells will have a real challenge when he faces a raw, yet physically imposing Butler. A former McCluer North wrestling standout and state finisher, Butler, is still a little rough around the edges but has his coaches at SCMMA very excited about his potential. If Sells comes into Saturday night in shape, this could be an early candidate for fight of the year. Local favorite, Evan Whited will be back in front of the Cage Champs crows when he faces Ryan Shatz. Whited was scheduled to compete last October but the fight was scrapped just before bell time. A solid prospect, Whited has had bad luck keeping fights, and hasn't stayed as consistent as we would like to see him compete. Paul Flores and Clayton Whaley will tangle in an intriguing lightweight affair. Whaley is young and raw while Flores (2-1), who fights out of Springfield, IL, is 39-years-old. Highlighting the undercard, Sunni Shemwell, a teammate of Orlando Sanders, returns to face Lacey Bryan. Shemwell showed a tremendous amount of heart in a battle against a national amateur prospect Kia Lola in Shemwell's MMA debut last October. Watson Martial Arts' Edwin Rowe will take on Kody Etinger in what could be a fun, fast-paced fight.